Ritonavir is used to treat HIV, the virus that can cause acquired immunodeficiency syndrome (AIDS). Ritonavir is not a cure for HIV or AIDS. 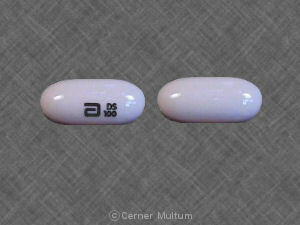 a sedative --oral midazolam or triazolam. If you are pregnant, your name may be listed on a pregnancy registry. This is to track the outcome of the pregnancy and to evaluate any effects of ritonavir on the baby. Ritonavir oral solution contains alcohol and should not be used during pregnancy. Ritonavir can make birth control pills less effective. Ask your doctor about using non hormonal birth control (condom, diaphragm with spermicide) to prevent pregnancy while taking ritonavir. What are the possible side effects of ritonavir? Get emergency medical help if you have signs of an allergic reaction: hives, skin sores, mouth sores; joint or muscle pain; wheezing, difficulty breathing, fast or pounding heartbeats; sweating, feeling light-headed; swelling of your face, lips, tongue, or throat. Viagra and other erectile dysfunction medicines. This list is not complete and many other drugs can interact with ritonavir. This includes prescription and over-the-counter medicines, vitamins, and herbal products. Not all possible interactions are listed in this medication guide. Give a list of all your medicines to any healthcare provider who treats you. Your pharmacist can provide more information about ritonavir. Copyright 1996-2017 Cerner Multum, Inc. Version: 17.04. Revision date: 2/15/2017.